​Cessna Stables is dedicated to providing quality riding lessons, horse training, and comprehensive support to riders of all experience levels, specializing in the areas of Classical Dressage, Western Dressage, Vaquero Horsemanship, Balanced-Seat Riding, and recreational riding. Cessna Stables we have a limited number of stalls available for horse boarding and dressage training at our beautiful, 20 acre farm located in southern Medina county, Ohio. We are within 45 mins of Cleveland, Akron, Wooster, and Wadsworth, Ohio. - Dressage (Classical Training) - development of the riding horse based on biomechanics resulting in increased balance, soundness, longevity, suppleness, strength, calmness, responsiveness and beauty. ​ - Vaquero Horsemanship - a method of horse training that fosters willingness, a calm mind, and obedience by developing understanding between horse and human through 2 way communication, respect, and knowledge of equine nature. Shannon Cessna aboard Andalusian DS Tango showing in Western Dressage. Cessna Stable’s advanced students have a wide range of interests and often come to us from a variety of different disciplines including competitive dressage, combined training, competitive trail riders, western riders, and purely recreational riders. Our advanced students have enjoyed competitive success at Recognized, Breed, and Local shows. We also offer a number of fun and educational farm events such as mini-clinics, student shows, lecture series, farm parties, field trips, video night, group rides and alot more! 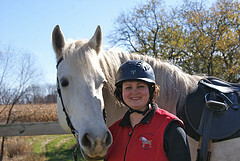 At Cessna Stables you will find a positive, encouraging, social group of primarily adult riders. We are not tolerant of barn drama. Cessna Stable is located in Lodi (8 miles south of Medina), on 21 beautiful acres. Facilities include a 60 x 145 indoor arena, 15+ acres of turnout, extra-large stalls, outdoor riding areas, and on-site owners. Turnout is a big priority and horses are turned out in groups daily except for extraordinarily wet weather. Cessna Stables is within 10 minutes of the I71/I76 interchange and the Lodi Outlet Mall. We are about 30 minutes from Akron and 40 minutes from Cleveland. Like us on Facebook and receive $10 off your 1st lesson package! 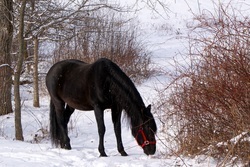 For more information or to schedule a farm tour, please call: 330-461-2318 or write cessnastables@yahoo.com. We do not offer trail riding to the general public. 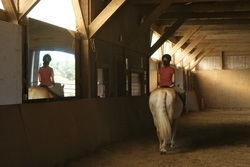 However, if you would like to try horseback riding, lessons is the best way to start! New Students click here for programs and discounts! Photography on this site courtesy of Moments Photography. All rights reserved.